Weekend Reading: Tiger from Spirit Animal Cards by Mary Phelan from TelepathicTV.com. Don't back down from a challenge this weekend. 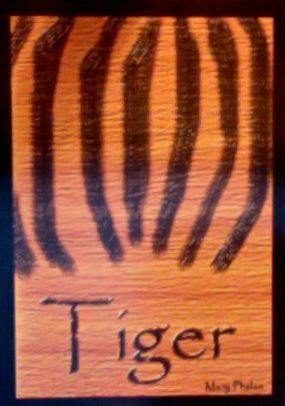 Tiger ensures that you'll have the power and resourcefulness you need to get 'er done over the next couple of days. And if you're out at a social event, forget about being a wall flower. Speak up and share your point of view. You can be all weak and helpless some other weekend. This weekend you get to claim your status as one powerful cat! NOTE: If you're a metaphysical person and don't know about Telepathic TV, visit the site at telepathictv.com. You'll find more card decks made by Mary Phelan and you'll also find links to her syndicated show, Telepathic TV ("Television You Watch With Your Third Eye"), dating back to 2004. Check it out. Mary and her partner, Neville, are prominent spiritual teachers in the DC area and gifted intuitives.